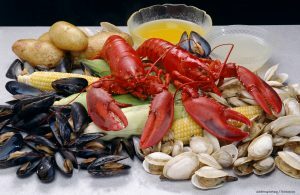 If there is one delicacy that has become synonymous with Maine, it has to be lobster. Learning about this local crustacean is often an attraction in and of itself for most visitors. For some, this education comes in the form of a fresh lobster roll for lunch or a full-on fine dining experience. Others, however, want to go on lobster fishing trips in Maine to learn more about the industry. 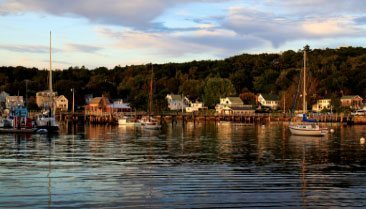 In Boothbay Harbor, you’ll find a variety of great ways to do just that! Find out more about great things to do in Boothbay Harbor, ME, by requesting a copy of our FREE Vacation Guide! It’s filled with excellent recommendations and information for lobster fishing trips in Maine, plus so much more. We know this won’t be fun, but let us stop you before you start to plan an extravagant lobster fishing trip of your own. There are just a few rules and regulations that you should know. For starters, you can’t legally go lobstering unless you’re a licensed fisherman. We hate to break it to you, but acquiring a Maine lobster fishing license of your own won’t come easy. And, if you aren’t a Maine resident, you cannot receive one at all. Go Lobstering! with Captain Clive Farrin for a one hour tour that provides guests with beautiful scenery, hands-on experience, and education on all things lobstering from baiting traps to preparing lobsters for market. Cap’n Fish’s Lobster Trap Hauling and Seal Watch for lobstering education, trap inspection, and seal and wildlife watching all wrapped in one. When you visit Boothbay Harbor this summer for a lobster-filled getaway, stay with us at Topside Inn! Our lovely bed and breakfast is on a beautiful hilltop property just a short 5-minute walk from the center of town and the harbor. When you stay with us, you’ll enjoy a peaceful haven for rest and relaxation that features spectacular views of the water. Our property features 3 excellent guest houses, plus a private cottage ready and waiting for you. 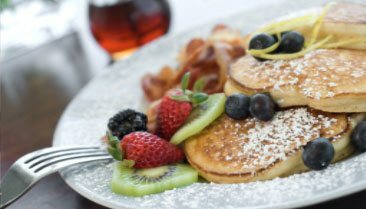 Join us each morning for a wonderful breakfast to start the day. Then, set out to explore everything our wonderful area has to offer. Learn more about a getaway with us today. 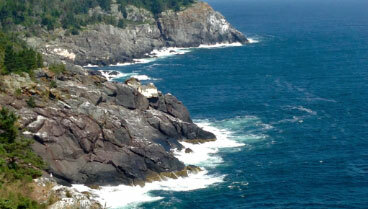 Then, start planning your visit to Boothbay Harbor. 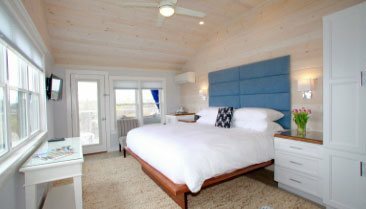 We can’t wait to welcome you at Topside Inn!